Presumably the part in North Carolina was being planned before the missing link through West Virginia, so it needed a separate number. 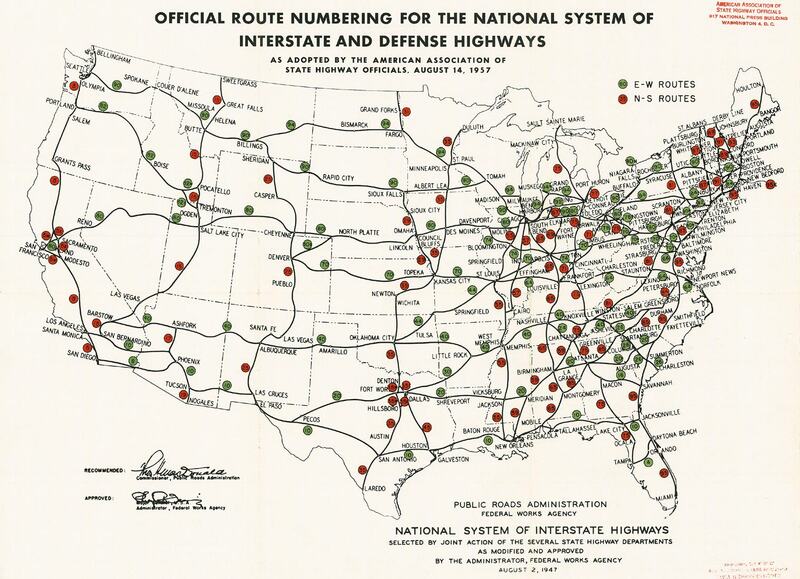 It seems more likely that since the original number of the Interstate extending south from Cleveland, OH to Canton (where it abruptly terminated) was I-79 (as per the above map; the original I-77 was what's now I-94 from Detroit to Port Huron, MI), the planned extension of that route south through WV, western VA, and terminating at Charlotte, NC would have initially carried that number; it was changed to I-77 when the Pittsburgh-Erie (PA) corridor was established in 1958, and received the I-79 designation. Interesting find indeed! It should also be noted that I-79 could've continued south from Charleston, WV instead of I-77, and then Charlotte would've had I-279 as the downtown freeway loop instead of I-277 when the extension to Columbia, SC was added later on. Was it ever a serious proposal, or merely just a suggestion, that an interstate be routed from Beckley northeast to Clarksburg, Fairmont and Morgantown; and a new surface road (an expressway, not a freeway) be built from Charleston east to connect with the route around Sutton? It is possible that Virginia is who decided to call it 79 first. See pages 21-22 at http://www.ctb.virginia.gov/meetings/minutes_pdf/CTB-04-1958-01.pdf which describes the approval of the corridor and the assignment of 79 to it. I have not seen any information that I recall about North Carolina deciding to call it that other than the map I found at the start of this thread. Not that I'm aware of. Charleston is the state capital and centrally located, which would have made it more logical of an endpoint than Beckley. The snowbird travel on I-79/US 19 is much more of a recent development. I've seen that map in the state archives so many times but I never noticed the 79.